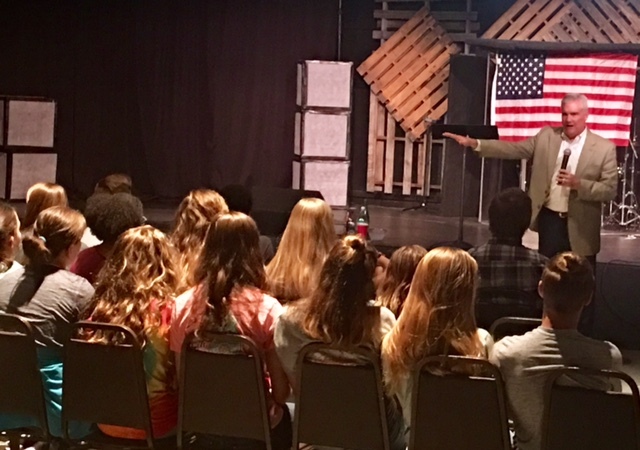 LPA welcomed Chad Connelly, former Chairman of the South Carolina Republican Party and current Republican National Committee’s Director of Faith Engagement, to campus Friday, September 15. Mr. Connelly spoke on balancing one’s Christian’s citizenship in heaven (Phil. 3:20) and U.S. citizenship here on Earth. Passionate about his job, Mr. Connelly taught on how important Christian leaders have been to the history and progression of the United States. Over all else, Connelly stressed the importance for Christians, especially the next generation of Christians, to be informed and active civic participants. Students, staff, and parents were given the opportunity to ask specific questions about how their faith should be guiding them in the political sphere during a Q & A time that followed the presentation. 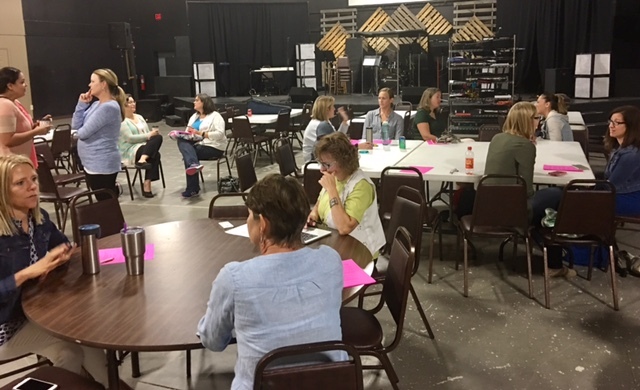 Just as God has called believers to encourage and build one aother up, Lake Pointe's Mentoring Ministry seeks to build intentional encouragement-based relationships between expereinced co-teachers and new co-teachers. Through these pratnerships, co-teachers offer practical tips and tricks of the trade and advice for at-home school days. This program is not only intended to help families survive their first school year but to give real examples of how to thrive and reap the most benefits from the Lake Pointe program.